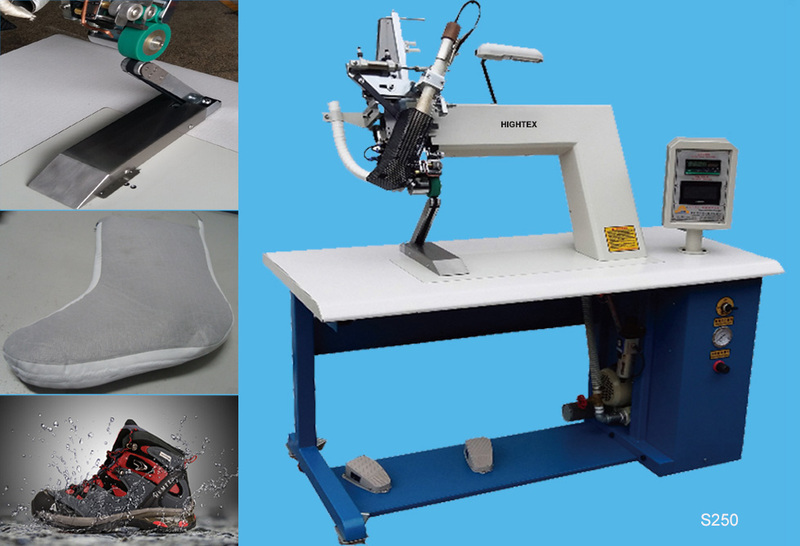 The special angle post bed design is suitable for seaming waterproof shoes and other shaped products. 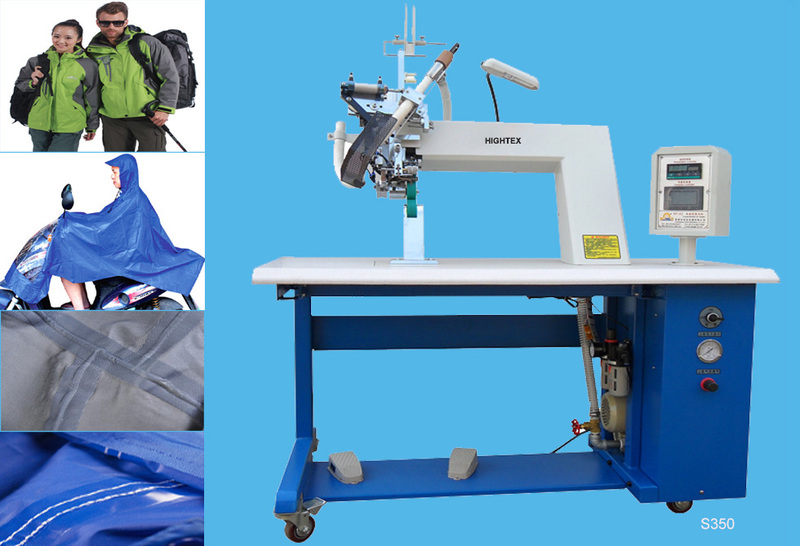 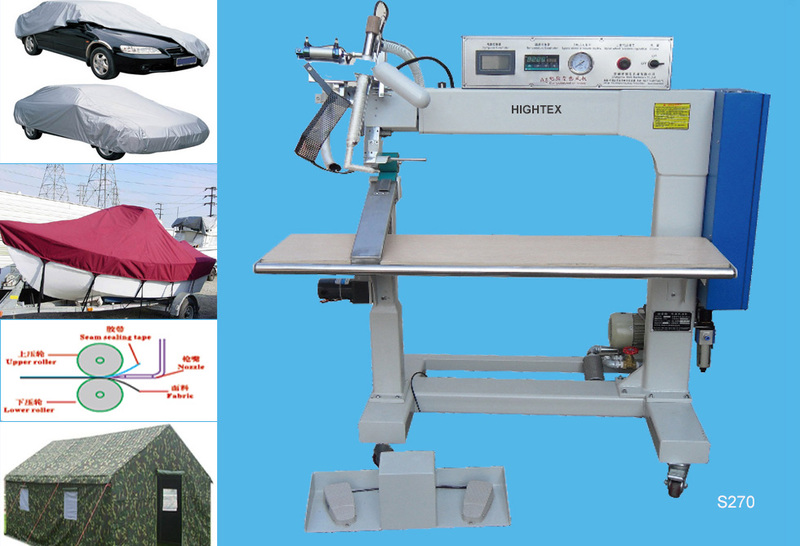 The long arm design provivovide large working area, ideal for the welding production of tents, car covers, boat covers and field covers. 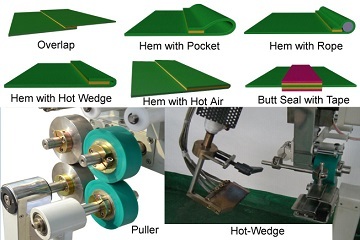 The micro-setting devices guarangee perfect seam quality in detail, suitable for seaming thin to medium weight material, such as chemical protective clothing. 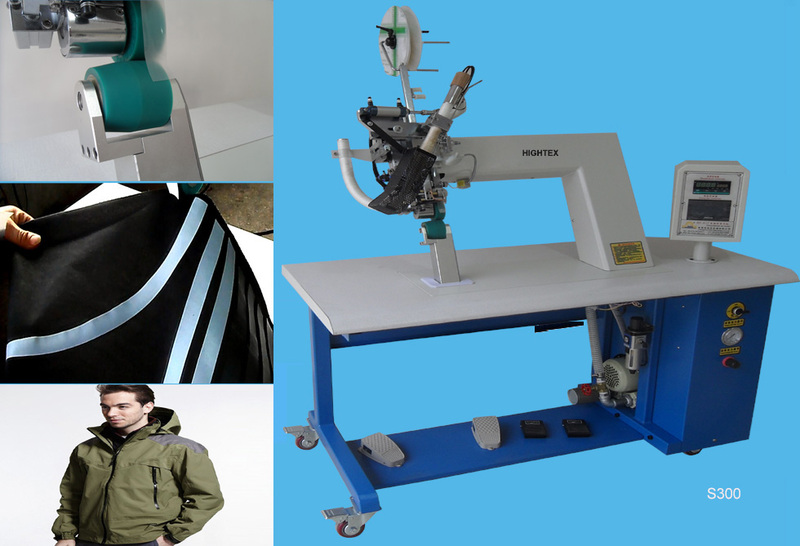 The best sell hot air tape welding machine with good price/performance ratio, can make both stright seam and curved seam in the production of waterproof jackets and coats. 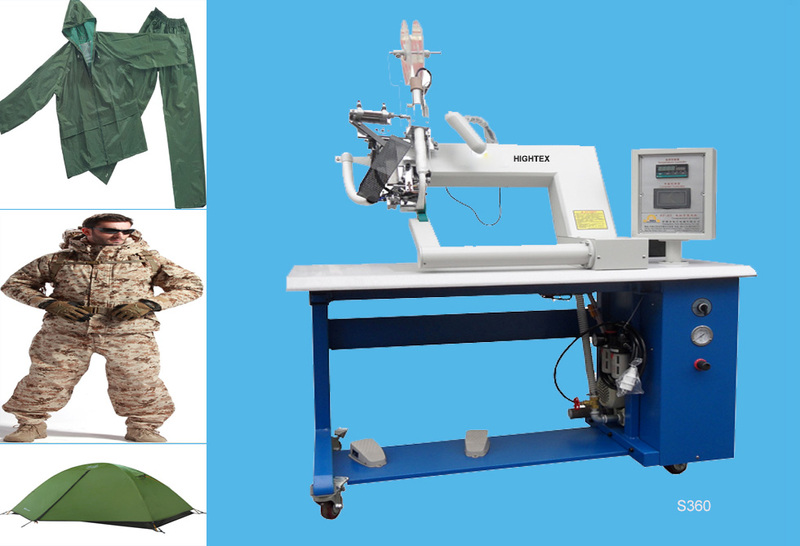 The universal hot air tape welding machine widely used in production of waterproof jackets, raincoat, tents and car covers etc. 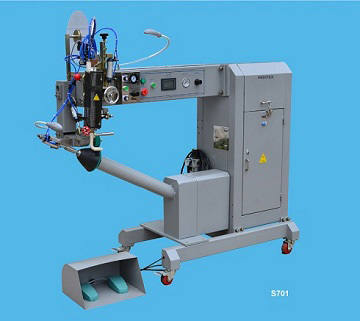 This universal hot air tape welding is same to S350, but with special arm design, ideal for welding corners or tubular products. 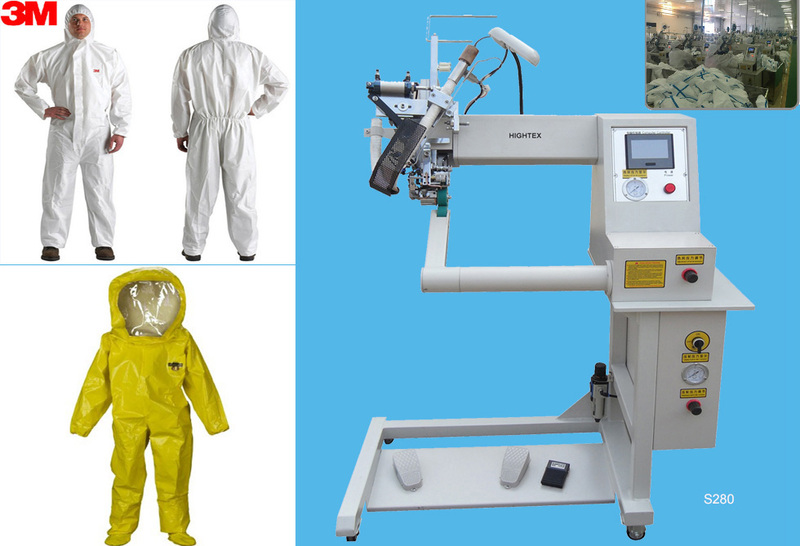 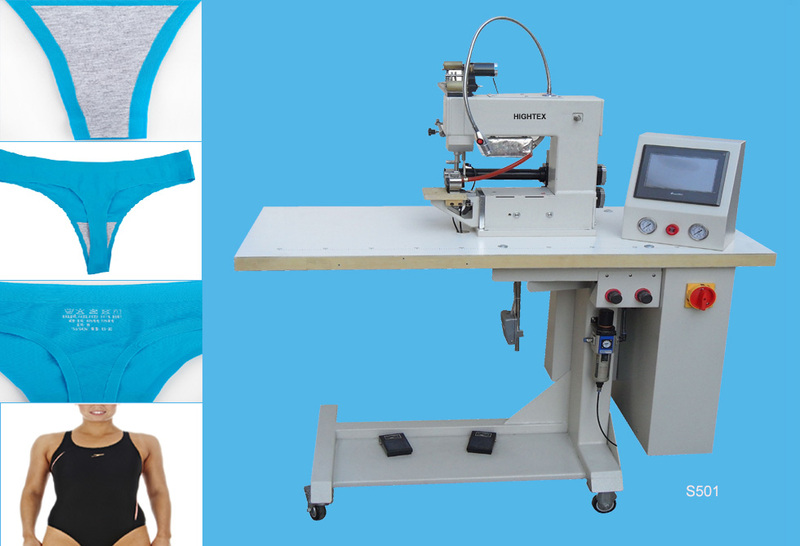 It is the specialist welding machine for the production of underwear, seamless bra, sports T-shirt , swimming wear, bike wear etc, for pressing tape. 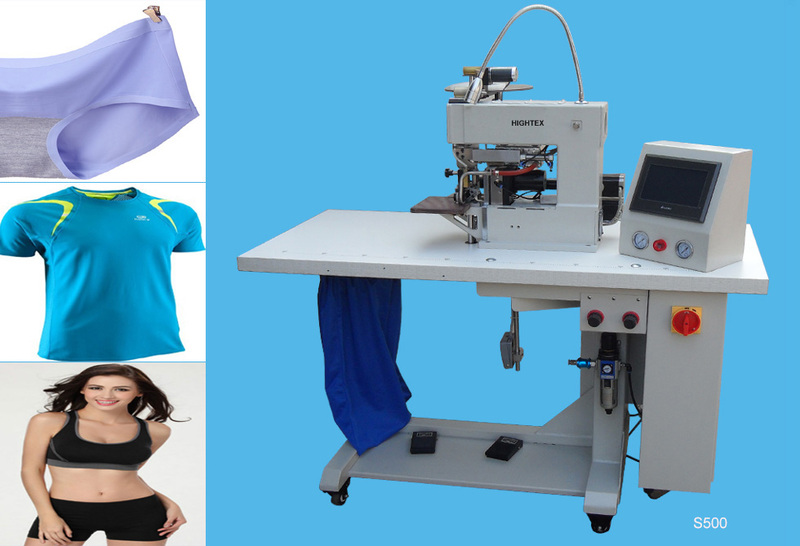 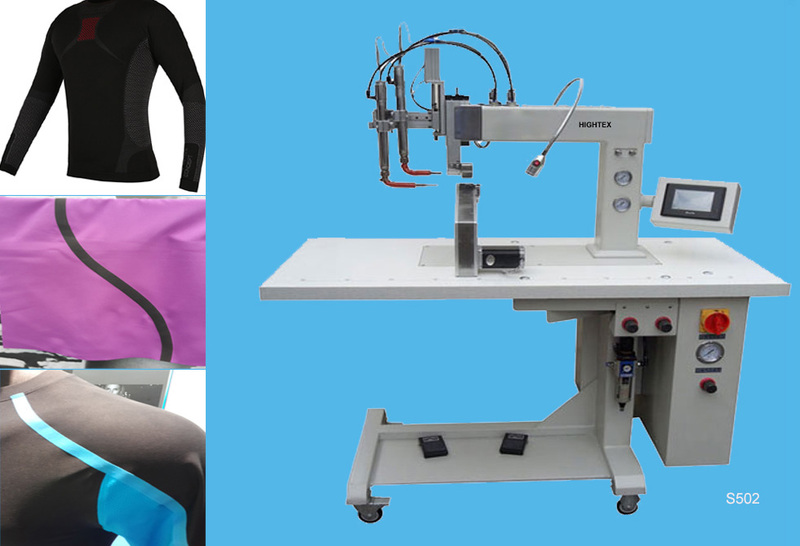 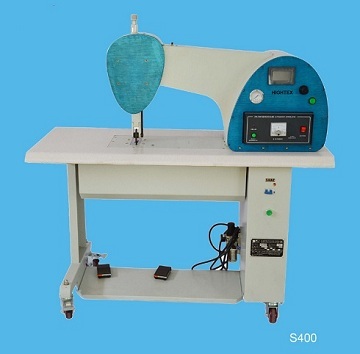 It is the specialist welding machine for the production of underwear, seamless bra, sports T-shirt , swimming wear, bike wear etc, for folding the fabric. 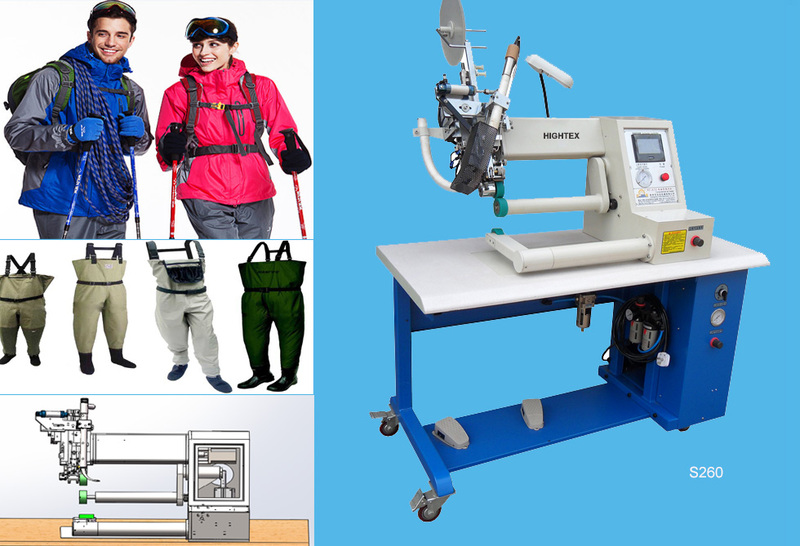 Double hot Air Gun Nozzle ensure the security of welding seams, in the production of diving suit, water resistant garment and swimming wear. 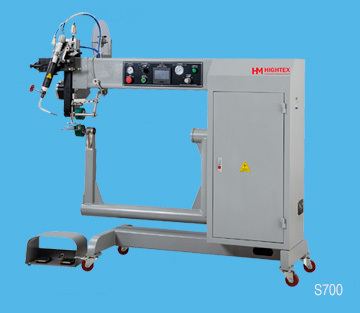 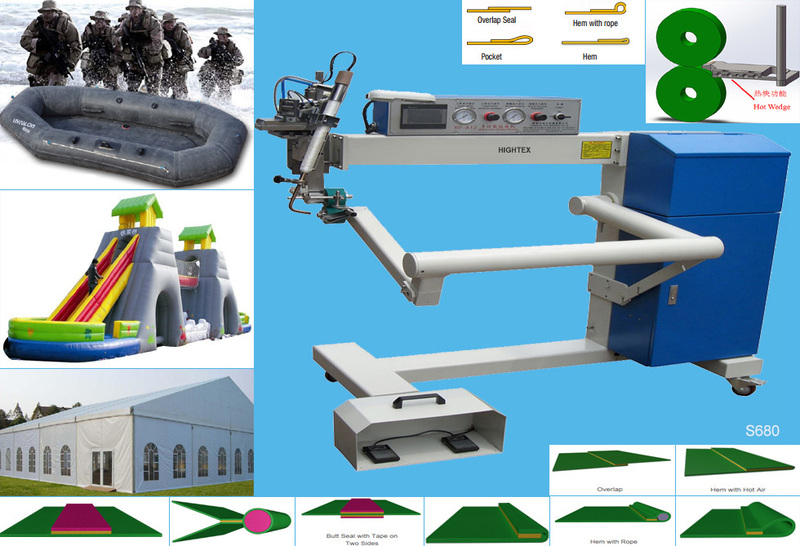 The double head hot air or hot wedge welding machine is custom made welding equipment for inflatable products with complicated construction, such as inflatble pool, inflatable boats, tents etc. 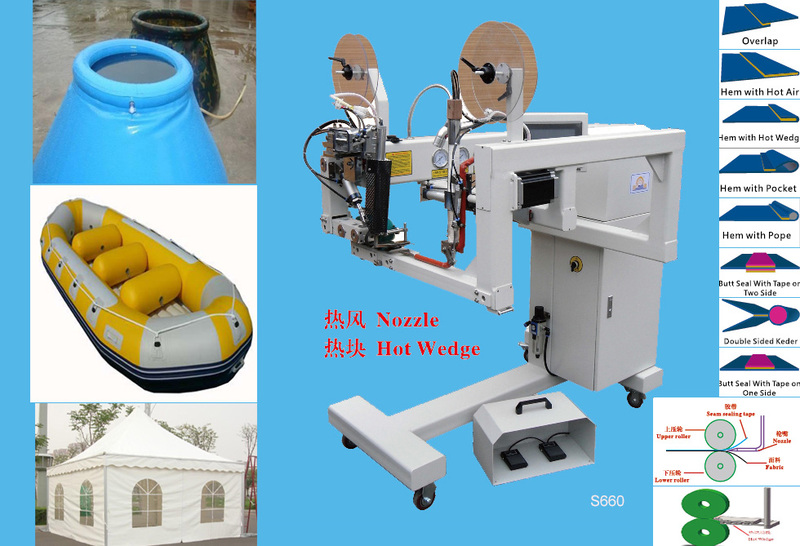 This Hot Air and Hot Wedge Welding Machine is simlar to Miller weldmaster t300, ideal for welding inflatable boat, flexible pvc air ducts, inflatable advertising, Inflatable Pools, Inflatable Swimming Pool,paddling pools (PVC), Kid Pools.